Glenwood Springs, CO, may have made a name for itself because of its hot springs and natural steam filled caves, but this Colorado city offers plenty of other opportunities for enjoying the great outdoors. Mountain resorts, white water rafting adventure packages, hiking trails, horseback riding, and even an amusement park are here for you to explore. 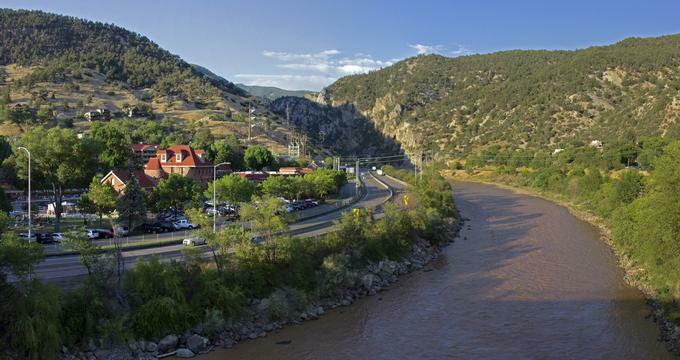 Here are the best things to do in Glenwood Springs, CO.
A national natural landmark since 2011, Glenwood Canyon presents a breathtaking drive with access to the region’s myriad points of interest. The canyon’s four rest stops enable visitors to explore different sections of the canyon via a hiking trail: Hanging Lake, Grizzly Creek, No Name (Jess Wheeler), and Glenwood Canyon Recreation. This last trail covers all of Glenwood Canyon and affords excellent biking and hiking options. If you do rent a bike in Glenwood Springs, most rental businesses provide drop-offs, so that you have the option of only having to bike one way. At 405 feet long and 100 feet wide, Glenwood Hot Springs pool at Glenwood Hot Springs Lodge is the world’s largest hot springs pool. The pool contains the same water you’ll find in the district’s natural hot springs, with fifteen minerals renowned for purifying skin and supporting good health. You can swim long into the evening while taking in the breathtaking views, and the pool features designated swim lanes for your safety. During the summer, cabana rentals, a children’s pool, and waterslides are available. An overnight stay at the lodge allows you to swim for hours on end and then wake up in the morning to a full breakfast served poolside. The pool is open daily throughout the year. The Glenwood Canyon Recreation Trail is Glenwood Canyon’s longest trail, running 14.4 miles along the entire length of the canyon. 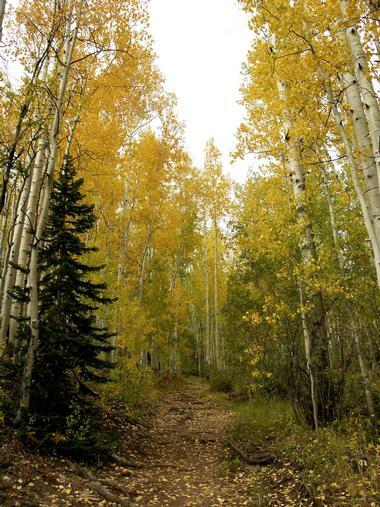 The trail is a paved, easy one and is consequently popular amongst visitors and locals alike. If it gets too crowded or you simply need a rest, make use of the trail’s rest area amenities such as picnic areas and fishing access points. The canyon has many wildlife residents, which you may see en route along the trail. If you would like to do the trail one way, both Glenwood Adventure Company and Colorado Mountain Express run shuttles from Glenwood Springs. The Glenwood Caverns Adventure Park is a family friendly amusement park situated at the summit of Iron Mountain. The park offers a huge assortment of attractions, including rides that offer stunning views of the Colorado River and surrounding mountains. Forty minute long cave tours for people of almost all ages and fitness levels are offered throughout the day. The park also has a 4D motion theater, Old West style laser tag, and a 32-foot climbing wall. Revisit the Wild West courtesy of the blacksmith shop, a few costumed photos in Silk’s Saloon Olde Tyme Photos, or one of the park’s daily performances. Grizzly Creek Trail runs 3.4 miles one way and starts at Grizzly Creek rest area in Glenwood Canyon. The trail is categorized as moderate, which makes it one of the easier trails in the area, and is open from April until November. With Grizzly Creek accessible at several spots along the trail, the path is ideal for enjoying a peaceful walk to the soundtrack of flowing water. The creek becoming narrower as you move up the canyon, and along the trail you’ll find abundant plant life, including fruit, pine and spruce trees, wildflowers, and berries. Walking with your dog on a leash is permitted. Founder and chef Jame Theriot created Smoke to give guests a contemporary take on barbeque. The restaurant’s menus (brunch, lunch, and dinner) reflect this concern with updating classics. Smoke offerings include starters, salads, mac’n cheese features, smoked BBQ plates, sandwiches and burgers, while seafood, steak, and dessert selections are available at dinner time. Try beginning your meal with fried pickles or Southern fried okra before moving on to a BLT salad or smoked pulled chicken sandwich. Add-ons are available for most menu categories, and the restaurant has both a drinks and a bourbon & whisky menu. Smoke also offers a catering menu with barbeque and all-American classics for your next home, office, or family gathering. Smoke is open from 11 am-9:30 pm Monday to Friday and 10 am-9:30 pm on weekends. Located in the historic Hotel Denver, the Glenwood Canyon Brew Pub features beer that’s hand-crafted at Glenwood Brewing Company, Glenwood Springs’ hometown brewery. The pub carries award-winning beers on its Standard and Frequent lists and offers a solid menu of American and international pub fare to pair with your libations. Food options include starters, pub favorites, soups, salads, sandwiches, and burgers, and Glenwood Canyon Brew Pub prides itself on creating a memorable dining experience with artful plating and fresh ingredients. Happy hour takes place daily from 4-6 pm, with the pub open seven days a week from 11 am-10 pm. Glenwood Adventure Company offers both water and land-based activities for all ages, including white water rafting, paddle boating, horseback riding, off-roading (unimog, ATV, segway), paragliding, ziplining, hiking, and more. Glenwood Adventure also does rentals, be it snow sport equipment, small watercrafts, or bikes. Rafting packings are either a half day or full day, and a family rafting package is available. Whether horseback riding or off-roading is your type of adventure, Bair Ranch operates as your home base; off-roading is available in 2, 2.5, and 3-hour options, while horseback riding packages can run anywhere from 1 hour through 4 hours, with 3 and 4-hour packages including a cowboy meal. Overnight adventures are also available. 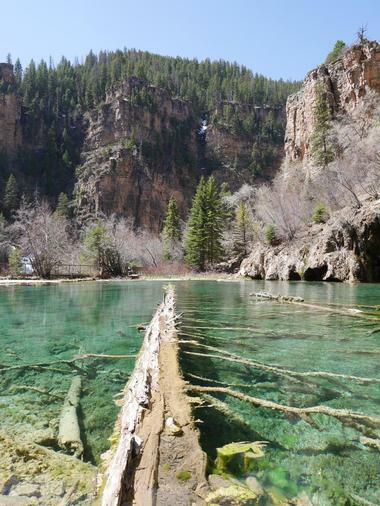 Hanging Lake Trail is an extremely popular 3.2-mile trail that follows Grizzly Creek up to Hanging Lake. The hike crosses over seven bridges and is a steep climb, but there is shade from the trail’s lush vegetation, plus handrails and benches along the way to make the trip easier. The altitude and climb make the trail a good workout, and Hanging Lake provides its own motivation, since you won’t regret the walk once you view the lake perched on the cliffs over Glenwood Canyon. The path gives ample opportunity to see local flora and fauna, and at the lake, you can enjoy the vistas of not only the clifftop but also two waterfalls. On July 6, 1994, fourteen firefighters lost their lives fighting the Southern Canyon fire. The Storm King Mountain Memorial Trail commemorates those fourteen individuals and invites you walk the path followed by the firefighters during their life-ending ordeal. Hiking the trail replicates the experience of walking into a wildfire zone, and it is certainly challenging; the path is steep and mainly exposed with tough footing in spots. Whitewater Rafting offers rafting adventures on the Colorado River and the Roaring Fork River, which are local to Glenwood Springs. Choose from packages ranging from “Short and Mild” to full day and extreme. Half day trips cover the Shoshone rapids and Glenwood Canyon, while full day trips include the half day itinerary plus twice as many water miles, a hot lunch, and breaks for swimming and sun worshipping. The Short & Mild package floats along the river and is ideal for those not interested in getting wet. 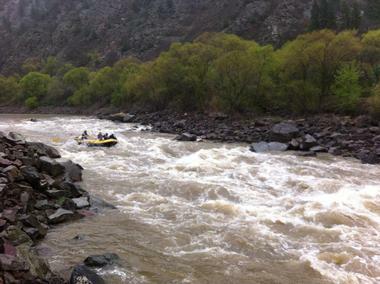 Whitewater’s double trips cover the rapids twice and offer big-time excitement. Private raft trips rentals also available, with a raft dedicated to your party until end of day.